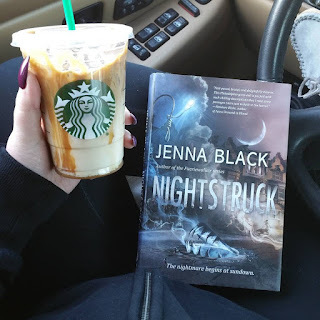 My reading pal, Jessica, and I took on this first-in-a-series teen urban horror novel and we are sure glad that we did! See our thoughts below in anticipation for book 2, Night Magic, coming out at the end of the month - definitely going to be continuing! Continue below to see what my pal, Jessica, also thought of this surprising book! 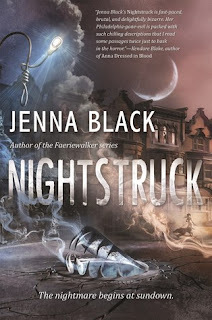 Nightstruck by Jenna Black was something I wasn't expecting. The cover was amazing and I'm never sure what to expect when it's more of a YA type read, but I was not disappointed. First of all, that beginning? Oh my god. Instantly got the eerie, looking over my shoulder vibe. Was not leaving any pools of shadow in my house after this one! It all begins with a cry in the night. Becket is walking her dog one night and hears an awful sound, one that she can't place, until it morphs into a baby crying. When she calls the police and tries to get a good look at the crying baby, she instead discovers that it's something evil, and it has tricked her into opening another realm. This lets darkness into our world and slowly begins to transform Philadelphia into a menacing version of itself - but only at night. Alley ways wait to snare people, street lights are turning into gallows, and this is causing people to hide in their homes at night. 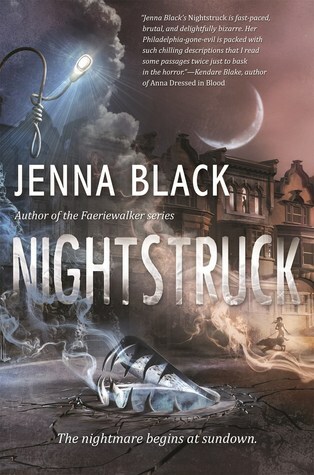 Some people fall victim to the darkness inside them and Becket is trying to save her loved ones before she does too. Jenna Black did a great job developing the characters and making it easy to relate to Becket. With her father as the police chief, she has some very high standards that she needs to live up to. 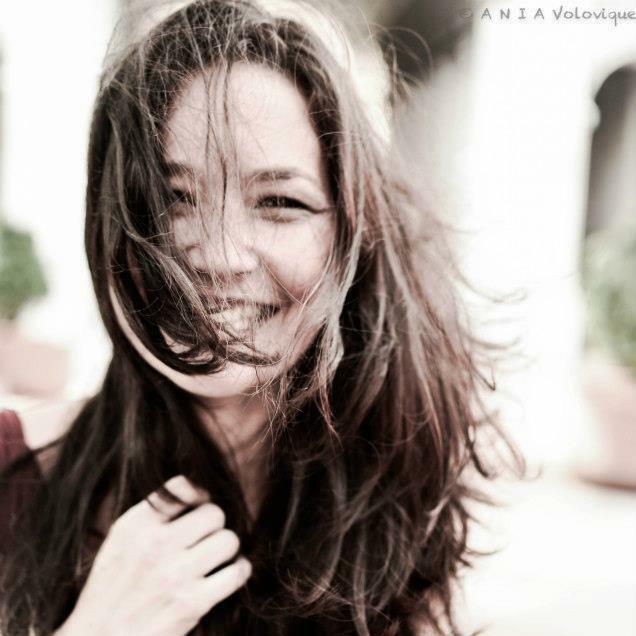 While trying to cope with her father and issues with her best friend, she questions her sanity as the book progresses. With the changes happening very gradually to the world outside, she begins to wonder if she's just imagining it. I loved how creepy this was. The dark elements and how it gave me that eerie, something-is-behind-me feeling. I'm excited to get the second book!